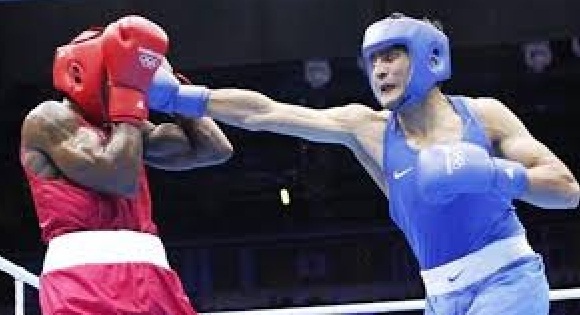 New Delhi : Amateur boxing in India might be in shambles but professional boxing is all set to get a massive fillip in the country after the launch of a governing body to facilitate pugilists, who wish to follow Vijender Singh’s footsteps and try their luck in the lucrative circuit. Brainchild of former Indian Amateur Boxing Federation (IABF) Secretary General Brig. P K Muralidharan Raja, the Indian Boxing Council (IBC), established recently, has begun active work in boxing community. The Medical Commission of the IBC is deputed with all matters pertaining to health and safety of boxers, and conducts regular clinics / training sessions for trainers. It also focusses on training and qualifying IBC approved ringside physicians. The IBC is working towards developing necessary protocols and procedures to enhance the safety of boxers, and has begun executing medical programs of research and development to find the safest way for the protection and treatment of injuries of boxers. The IBC Medical commission is also spearheading its efforts in combating doping and health issues which often damage the athletes and bring bad name to the sportsperson as well as the sport of boxing. Medical contact clinics have become a recent regular at IBC. These clinics aim to develop awareness amongst varied fraternities of boxing world and enables building up ethical practices in the profession of boxing. IBC will be conducting a 2-day contact clinic in Delhi and bring together promoters, coaches and pugilists of boxing professionals on September 5 and 6. IBC President Brig (retd) P K Muralidharan Raja would be conducting the schedules of this contact clinic. NCR contact clinic is scheduled at Faridabad on September 5 from 3.00 pm to 5.00 pm and for those in Delhi on September 6 from 10.30 am to 1.00 pm at Indian Islamic Cultural Centre, Lodhi Road. IBC had earlier conducted similar clinics in Bhiwani, Patiala, Coimbatore and Hyderabad. Response gathered from those clinics was very encouraging as tremendous interest level was evinced by Promoters, Coaches and Boxers in those cities – which got converted into huge turnout in registrations at the start of such events. The aim of these contact clinica is to enlighten all three categories – Promoters, Coaches and Boxers, about the promising world of Professional Boxing and how it could bring them name, fame and wealth in future times. After Delhi and NCR chapter, next Contact Clinics will be held at Kolkata, Jamshedpur and Guwahati.